NVIDIA has released a new set of graphics drivers for all available GeForce graphics cards. R375.86 brings optimizations and support for Tom Clancy’s The Division Survival DLC, Battlefield 1, Steep: Open Beta, and Civilization VI. UPDATED (2016.11.18) R375.86 has been replaced by R375.95. 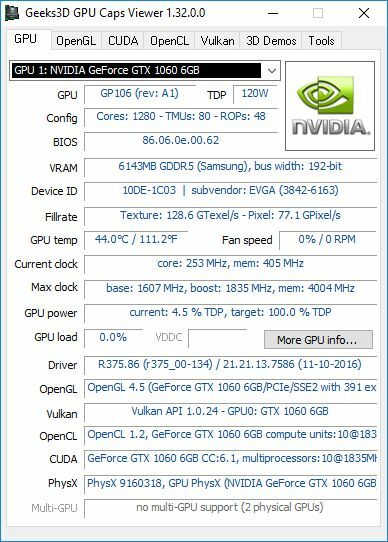 for a total of 391 OpenGL extensions exposed for a GeForce GTX 1060. The complete list of all OpenGL extensions (excluding WGL_EXT_colorspace) is the same than R372.54. For those cards that are affected by – Low memory clocks on certain factory-overclocked Pascal cards.